As one of the first true supermodels of our time, Jean Shrimpton graced the covers of numerous high-fashion magazines and appeared in a few good films. Raised as a Buckinghamshire farm girl, she later became dubbed as the “it girl” and as “the symbol of swinging London’. Colors are mainly one strong base color (usually black or white). Patterns favored include a simple floral, or a basic geometric design. 2. Fabric Cut / Fit – Fabric is cut close to Body with a Flat Front around the waistline. Fabric is generally cut close to the body, with a fit that is snug, but not tight. A round or V-neckline is standard. The front of the blouse or dress is typically flat, with little or no pleats at the waist area. The fabric on the underside of the shoulder (the armpit area) is cut high and adequately covers the skin, with few exceptions. 3. Daywear – Very few accessories, a simple ensemble, and pumps. Accessories are kept to a minimum, ranging from no accessories to two accessories, maximum, with a definitive pair of earrings often being the accessory of choice. Pumps are the standard for shoe wear, in a variety of solid colors. A soft print blouse with a solid skirt is the go-to ensemble. The headscarf serves as a staple style-element that sets her style apart from others. Gloves that extend up past the wrist are worn liberally. 5. Business Wear – Conservative suits and dresses, avoiding excessive accessories that age the look. To avoid looking “Grandmotherly”, conservative suits and dresses fit closely and are kept fresh by foregoing excessive jewelry, pins and scarves that add age to the overall look. No more than two accessories are worn at a time. A simple black-banded watch gives a vibe of permanent elegance. Bags are medium in size with little ornamentation and of a solid color. A more daring hat with a clean circular line tops off the look. The suit cut has soft shoulders, a generous lapel, a defined silhouette, and the suit coat has slightly short sleeves. 5. Evening Wear – Keep it simple. Keep it black. Black is the go-to color. With evening wear, accessories can be quite strong, but the number of accessories is limited no more than two with evening wear. The neckline is horizontal, running from shoulder to shoulder. A plunging backline amps up the formal factor. Sequins and shiny material is kept to a bare minimum. 6. Make-up – It’s all about the eyes. Eyebrows are darkened with a defined shape with highlighter likely applied below the brow. Eyeliner is bottom-heavy with a light wing drawn with eyeliner slightly above the natural line of the eyelid. A patch of lashes are applied directly to the middle of the eyelid. Other than the eyes, the rest of the face is natural with no evidence of makeup being applied. We all have them, those moments when we wear something that goes against the grain of our defined personal style. Whether you like or not…body assets here are shown freely with a dress made of netting and a high fashion fabric. This is a first attempt to answer some requests from my readers for a source on female elegance. Any advice on how to improve along the way will be fully read and honored, if you find yourself motivated to comment. Great fundamental advice about fashion and elegance. Are those her selections or the selections of the designers behind the photo shoot? I’m sorry I have been away from visiting blogs, Sonya…one of mine has gone terribly neglected. I always enjoy your posts. These pictures have taken me back to my childhood! 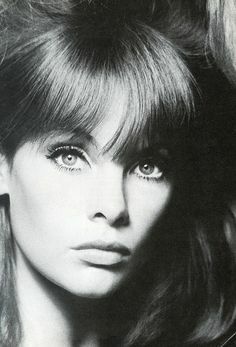 My teenage sister would have LOVED to have been Jean Shrimpton, who was the highest-paid model of her time,( and often in the news because her sister,Chrissy, was dating Mick Jagger at the time). 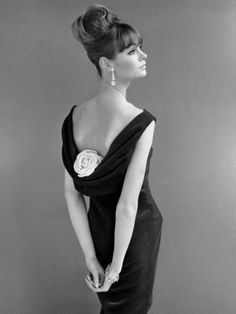 Although she was certainly showing off the designer clothing she was hired for, you can’t fake that kind of style.I agree; Jean Shrimpton was iconically rare. A sincere “thank you” Britt ! I haven’t heard much about jean Shrimpton before and this was quite interesting. I’m a huge Audrey Hepburn fan and they seem somewhat similar with their elegant sense of style. I’ve never been hugely into fashion but these days lipstick is highly formal. Meanwhile, my daughter is getting into makeup now. Somehow, she managed to do rainbow coloured eyeshadow for a school performance. That could sound over the top but she did it very tastefully and it looked like the feathers of a pretty bird…a more subtle version of our Australian rainbow lorrikeet. Next Next post: What do you think of Emily Post?